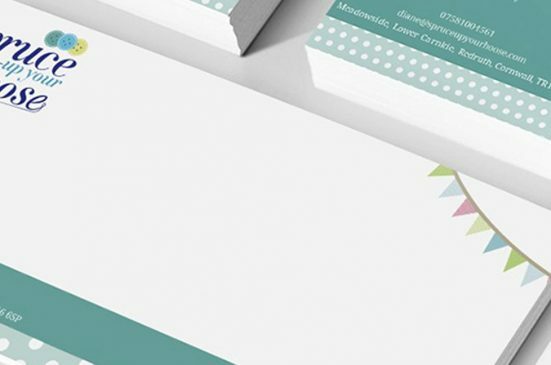 Supply your team with attention-grabbing business cards and custom stationery. We have a wide range of paper stocks, types of finishes and embellishments. Business cards are one of the first steps to taking your business to the next level. Because of their conveniently small size, you can easily keep them with you at all times—in a purse, bag, or wallet—to make sure that you have some on hand at all times. We offer a variety of different business card options so you can choose a design that embodies what you have to offer. 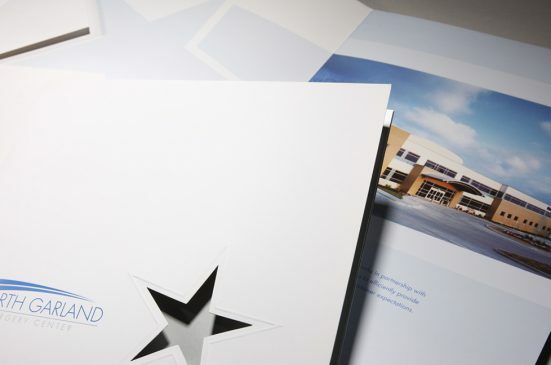 Branded envelopes convey an extra level of professionalism for your business. Whether you need to mail a letter to a client or send coupons out, branded envelopes are a major step up from plain stock envelopes. We create a variety of different envelopes just for you to ensure that you have them on hand and ready to go at all times. 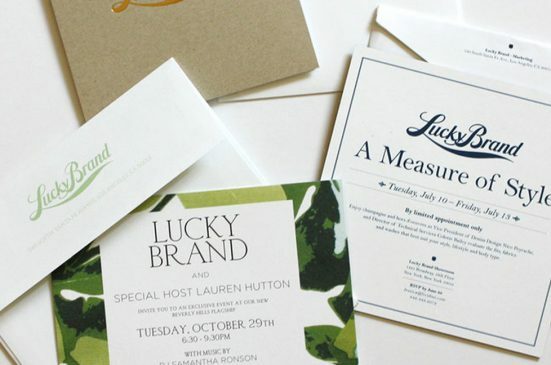 Do you want to leave a lasting impression with every business letter you send? 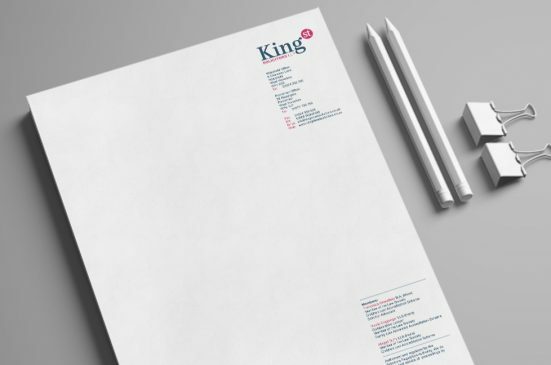 Create a well-designed letterhead that will impress your clients. Present your own design or let us help you create an eye-catching letterhead. 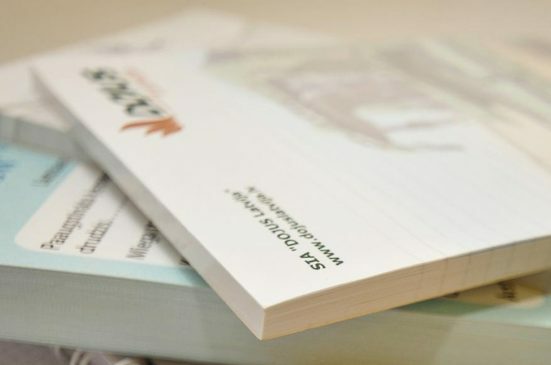 Whether it’s single or double sided, or A5, A4 or another format, we can accommodate your needs. Whether it’s for taking notes during meetings, writing down your ideas, making to-do lists, or sketching on a graph pad, there’s no question that notebooks are handy. We offer high-quality, well-made notebooks and notepads that won’t fall apart under heavy use. Choose between a hardcover notebook, a wrap-around cover, lined, blank, or grid pages. Stay organised and make a great first impression before an important work presentation or business pitch with our Presentation Folders. Choose between our A4, A5, or DL Presentation Folders. For the added finishing touch, you might want to add Foil or Spot UV to really impress. Since a Presentation Folder is one of the first things you present your clients in a pitch, making a good first impression counts. Our With Compliment slips are a great way to add a short message inside a package or letter. 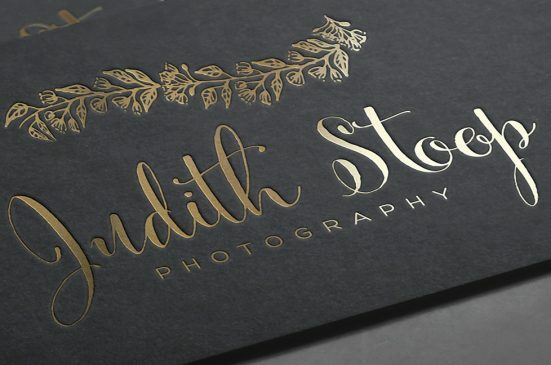 This adds a personal touch to your business that will definitely make you stand out from your competitors.